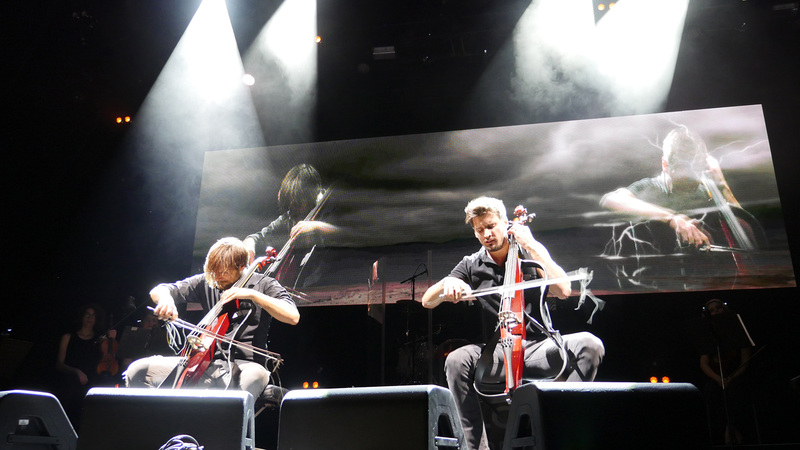 2CELLOS called on Upstage Video to provide video production elements for the North American leg of their tour. Our in-house technical artist provided on-screen visual elements using a Disguise (D3) media server and Notch playback. 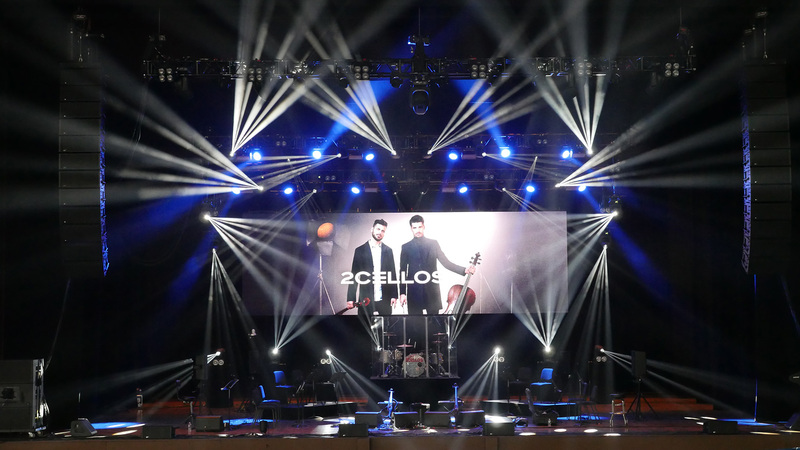 Visual elements were fed to a 30’ x 10’ ROE MC7 screen. 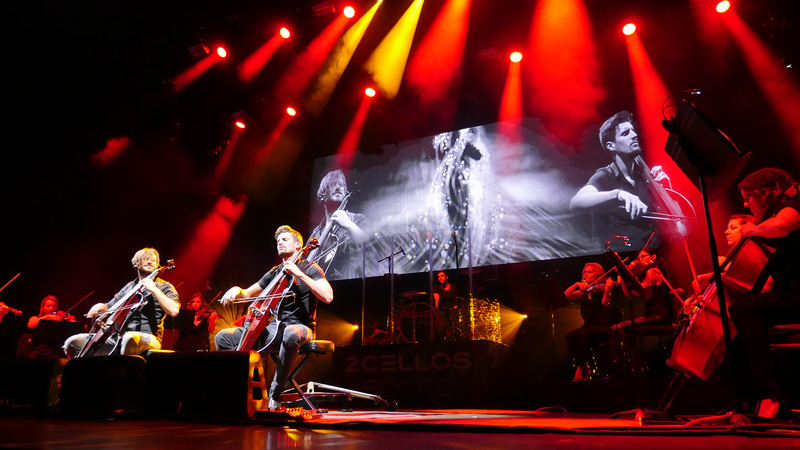 To capture the onstage action, we included Panasonic high definition PTZ robotic cameras in addition to playback and recording.